OK now this is just unfair. Lime is my new chocolate. 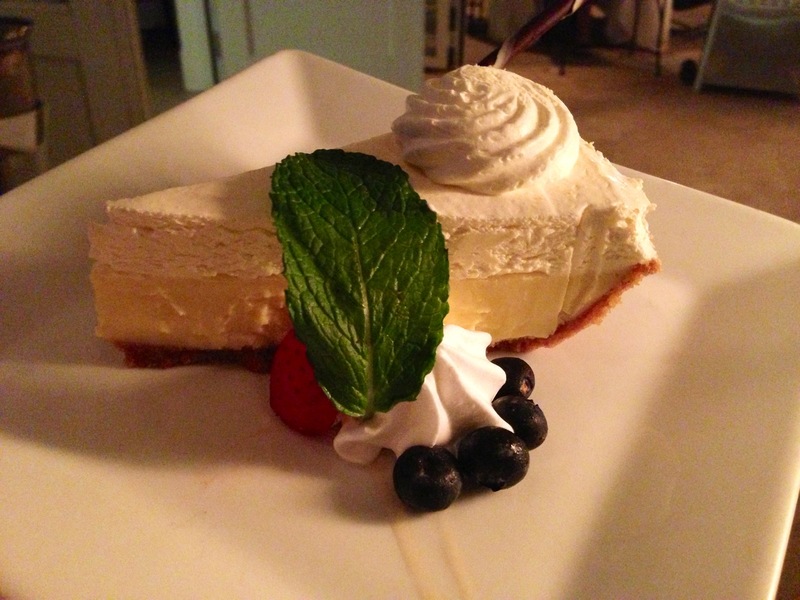 Just spent Christmas in Key Largo…I can still taste the pie, thanks for the memory! This looks totally delicious .. to die for type of dessert ! Wow… did YOU make that cake? It seems just good! This is far too pretty to eat!! Real Florida Key Lime Pie has no competition! It is heaven when prepared with just the right tartness mixed with sweetness. The problem I had with getting Real Florida Key Lime Pie in Key West was there were so many bakeries to pick from! Don’t you agree? Did you take the Couch Tour when in Key West? Ok, now I’m jealous!! I used to live in Key West when I was a child and ate this all the time! Oh how I miss real Florida Key Lime Pie!! That is almost too pretty to eat. Almost. Great photo and excellent styling. Are you interested on cc on the photo? Yummy!!! I so miss Key Lime Pie!! Reblogged this on From the Heart of Rev. Eddie Tatro. Reblogged this on Azar Aftimos. What a delicious pie, my mouth is watering and I loved to taste it. I went to key west this year and the best thing was key lime pie! I once squeezed at least 40 limes to make key lime pie. When it cooled, I walked the pie over to my hubby a few feet away and dropped it. The whole thing was ruined and I haven’t made it since. Looks delish! Reblogged this on Fifteen Miracles. Mmmm that looks so delicious!! This pie looks so scrumptiously delicious! I don’t think I’ve ever seen key lime pie with whipped cream before, but with or without, it’s delicious! the true essence of our beloved nature!!!!!!! Even store-bought, key lime pie tastes wonderful as far as I’m concerned if the supermarket has a bakery where they prepare all their products there, but this looks just scrumptious! I just noticed the (?blueberries) off to the side of the pie, & just now, I noticed a fresh strawberry hidden mostly by the sprig of mint. Looks very refreshing-this dessert’s probably homemade, I would assume. Looks also very nutritious with the fresh fruit & mint! Looks sooo delicious! traveling to Key West for Pariswritersretreat.com . Goal, sharpen the writing pencil & have a slice of Key Lime Pie.